Dr. Martin Keltz, a board certified reproductive endocrinologist, established WESTMED Reproductive Services in 2015. Dr. Keltz graduated from Harvard College in 1985, the NYU School of Medicine in 1989, and completed his OB/GYN residency at NYU/Bellevue in 1993. 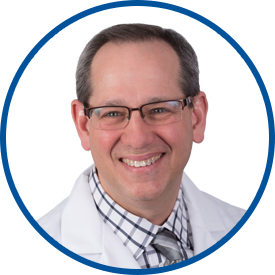 Since completing his fellowship in reproductive endocrinology at Yale University in 1995, Dr. Keltz has been director of reproductive endocrinology at St. Luke’s and Roosevelt Hospitals, where he is now an associate professor at the Icahn School of Medicine at Mt. Sinai. He cares for couples challenged by infertility and recurrent miscarriage as well as women suffering with fibroids, endometriosis, or any reproductive disorder. His busy practice focuses on IVF, SHG, IUI, and minimally invasive hysteroscopy and laparoscopy. Dr. Keltz has been awarded the “Top Reproductive Endocrinologist” in New York Magazine for the years 2012, 2013 and 2014. He has authored over 40 peer-reviewed articles and 50 abstracts in reproductive medicine. Dr. Keltz is the best! Dr. Keltz is hands down one of the best doctors I've ever had the privilege of working with. He's kind, comforting, and takes time to answer questions, alleviate fears, and ensure that I'm comfortable. Dr. Keltz has treated me for complex problems and always reassured me with honesty and truth. I'm lucky to be one of his patients. Dr. Keltz is awesome! I am very grateful for his help and for his care. *Dr. Keltz is the best. He made me so comfortable and he is super sweet. Dr Keltz took time in caring for myself & my partners health and we really appreciate him for that. We look forward to visiting with him again. Dr. Keltz is by far THE BEST! He's always able to put me at ease, address my problems/concerns, and shows compassion. He's amazing and WestMed should advertise his services so more patients can benefit from being treated by him. Dr Keltz may be the happiest man on the planet. you can tell he loves his job and is good at it. As a first time patient I wanted to know more, I wanted more details, I wanted to understand evrythimg that was going on and when I asked I was given all the information I wanted, but I had to have the courage to ask the questions. Because this is his life and it is 2nd nature he knows what is happening and should take a little extra time to go over the information with each and every patient. If I need to see him again I now know how the process works so I would probably increase all of my ratings. Dr Keltz is great. Very professional and knowledgeable Physician. It was great to visit someone so highly qualified. Dr Keltz can be straight and to the point which can at times sting at times due to the sensitive nature of his specialization. I have to say though that he is very empathic and supportive when he sees that you are upset. I am so grateful to have him as my doctor and have already recommended him to several people.